Defense of the blind screen (Flex type). 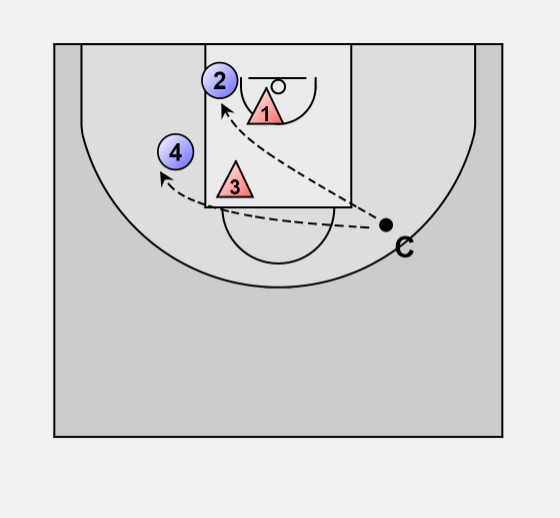 Work on a half court with the player evenly spread on the midline. 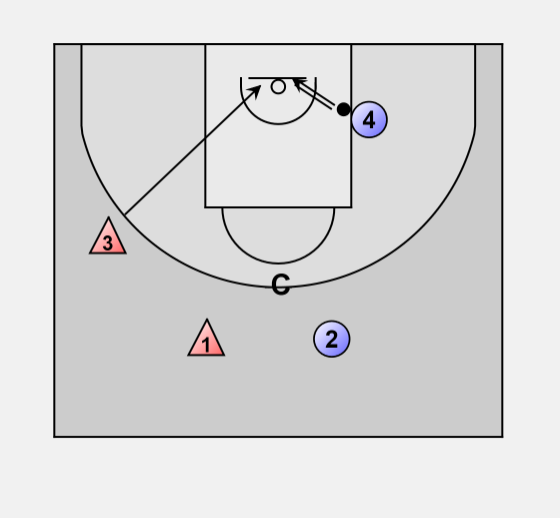 A coach without a ball is postions at the top of the 3 point circle. 1 passes to 2, 3 and 4 run in there lane. 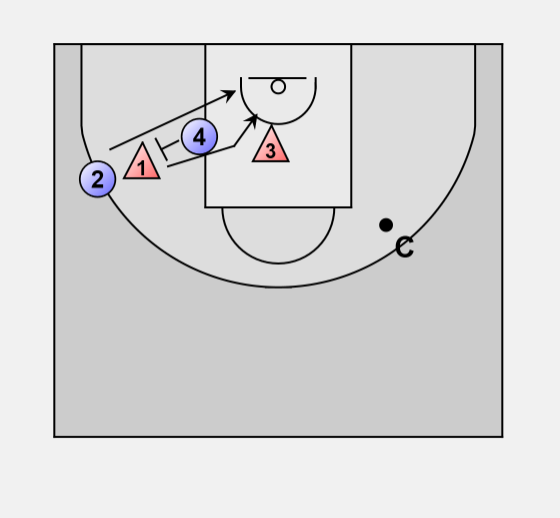 2 gives a pass to 3; 4 continues running in his lane. 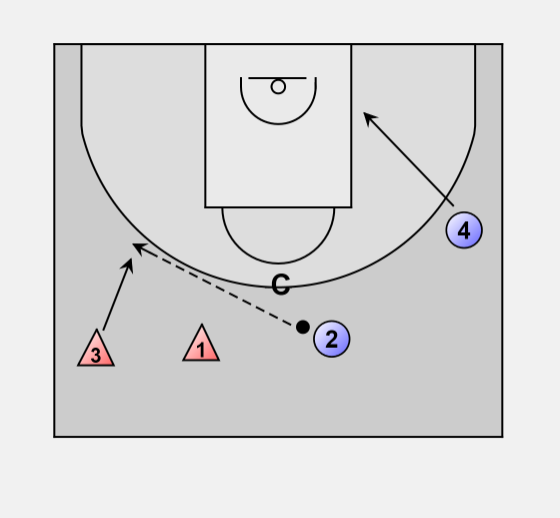 3 passes the ball to 4. 4 makes the layup and 3 goes for the rebound. 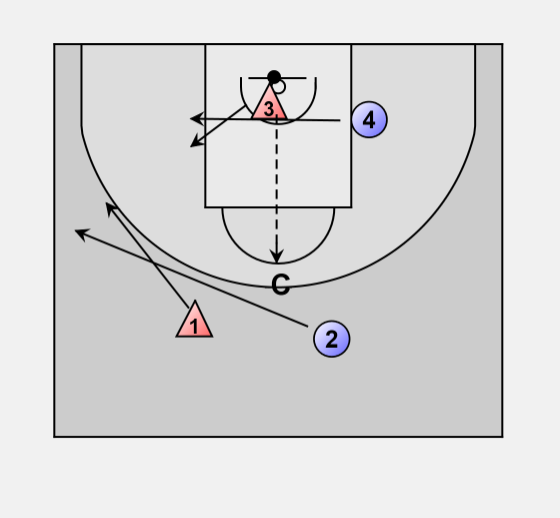 3 passes the ball to the coach. Both players who began on the ball side (1 and 3) are going to defend the other players. 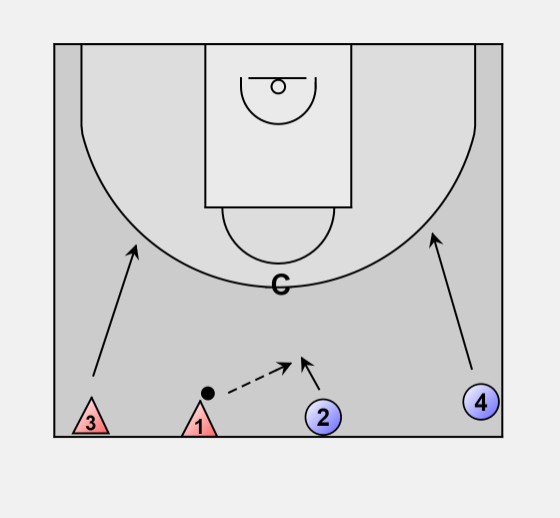 3 plays defense on 4 in the low post. 1 defense 2 in the wing. 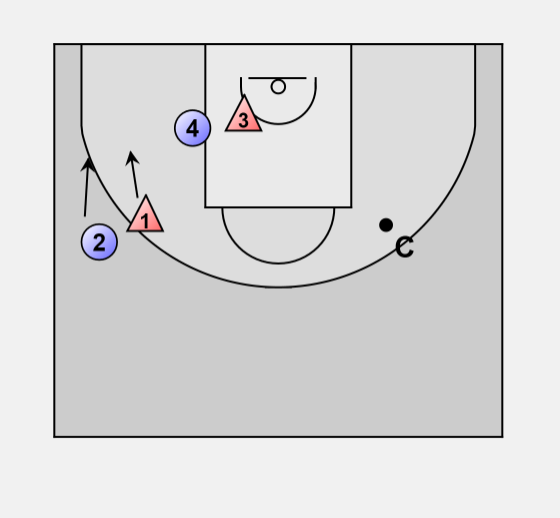 The coach dribbles to the opposite side. 2 attracts the attention of his/hers defender to prepare for the back sreen. 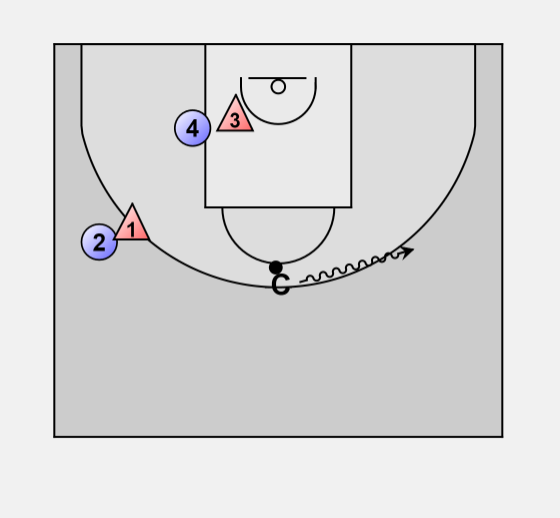 4 sets a blind screen for 2. 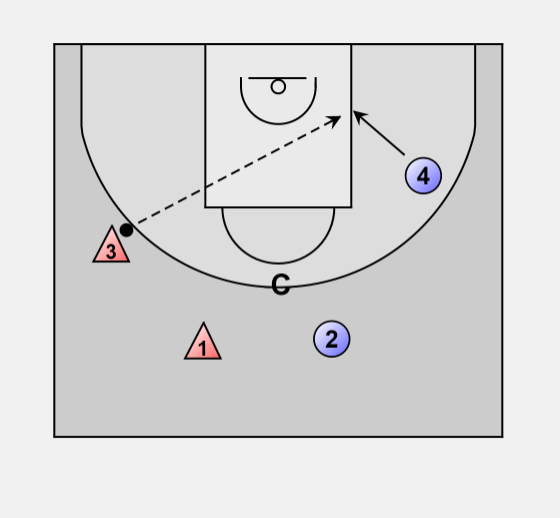 2 uses the block (1 uses the proposed defensive technic proposed by the trainer with or without the aid of 3, to prevent the pass of the coach). 2 and 4 play 2-2 with the coach as a passing player. The one who last touched the ball takes the place of the coach. The other four go back to the midline. With the defensive players going to the offensive lanes (non ball side).